When I first got started in beading, I never dreamed that I would have such a large collection of jewelry-making pliers, stringing wires, beading threads, crimps, clasps, scissors, and wire cutters. (And let’s not forget my beading awls, pearl knotting tool, wire straightener, or jump-ring opener!) Some of my tools are quite simple—I have a couple of wooden dowels that I’ve used for years to provide support when I do beading stitches such as African helix or tubular right-angle weave. But it’s important to know which beading tool is the right tool for the jewelry-making task at hand. Nothing is worse than having your jewelry stretch, snag, or fall apart when you’ve worked so hard to put it together. Using the correct beading tools in your jewelry making is just as important as the main bead components you select. With this handy reference guide, beaders of all abilities will learn how to select the correct beading tools for the most structurally sound piece. That’s why we’re so pleased to bring you some very helpful information from Jean Campbell in our new free eBook, Guide to Beading Tools and Jewelry Supplies, Plus Three Free Projects to Learn How to Use Your Jewelry Making Supplies. 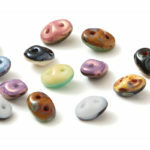 After you brush up on jewelry making supplies, you will be ready to sit down and make some beaded jewelry. To get you started, we’ve included three fun jewelry-making projects to let you explore the many uses of your beading tools. With help from our experts plus the right beads and supplies, you will be on your way to creating stunning jewelry in no time! 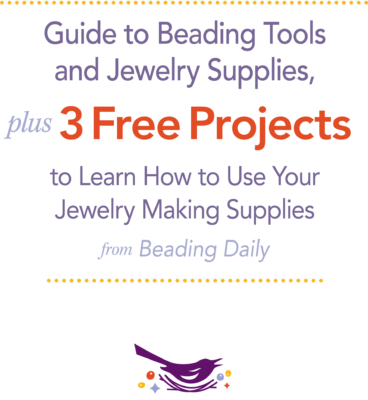 Download your free eBook to get your entire guide to beading tools and jewelry supplies! 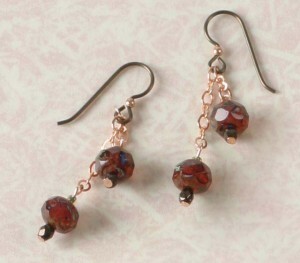 These simple, coppery earrings are the perfect finishing touch for your wardrobe. Make a pair to match each season, or a few in your favorite colors. For this easy project, all the beads and supplies you will need are wire cutters, round-nose pliers and a few beads and findings. 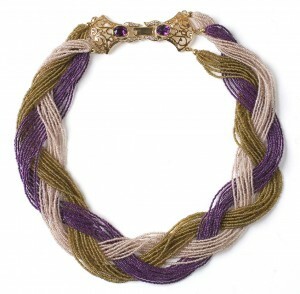 Once you’re comfortable with using pliers, move on to this fabulous multi-strand project. 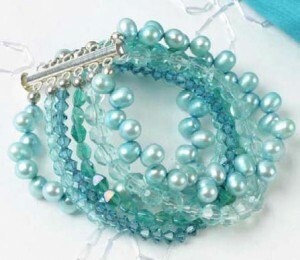 Designed originally for her sister’s wedding, this bracelet can be dressed up or dressed down for nearly any occasion. With a handful of bead stringing supplies and your selection of beads you too can have this beautiful “something new” bracelet. Get down to some serious stringing with this show-stopping piece. The final piece is definitely worth the effort and really has vintage, sophisticated charm. Once you have transferred the hank strings to jewelry wire or cord, all you need to do is arrange them in the braided pattern, attach them to the clasp, and you are done. This valuable reference is perfect for anyone just starting out in the world of beading and stringing. To begin, expert Jean Campbell shares essential tips and basic uses of a variety of common jewelry making supplies. 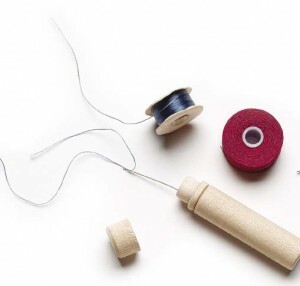 Learn the difference between bead thread, silk cord, bead wire, and much more, so you make the perfect material selection for your needs. Then practice using the correct tools with three easy, but fun projects. We think you’ll love our new eBook, Guide to Beading Tools and Jewelry Supplies, Plus Three Free Projects to Learn How to Use Your Jewelry Making Supplies. It’s a great resource for anyone who loves to make beaded jewelry and wants to make jewelry that is sure to last a lifetime! Download your copy today, and find out all you need to know about your basic beading tools and jewelry making supplies!